At Stereo Authority, we care for our readers, as I have mentioned many times, just email us your question and our team will sit with technicians to help and guide you. I have a daily routine of reading all the comments and emails that we receive at our headquarters and I try to answer one question daily. So the question for today is, What is the Best Car Door Speakers Size? There is a variety of speakers that can be fitted easily in your car door. I recommend using 6×9 inch car speakers, 6.5-inch car speakers, 5.25-inch car door speakers, 4-inch car speakers, and 3.5-inch door speakers. You can select any car door speaker size according to the size of the door, check space available and select the best-suited car door speaker size. I have already posted articles on individual car speaker sizes. I recommend replacing door speakers with the same size as of the factory fitted door speakers, however, you can always modify for a better size car door speaker. Size and space utilization The large size and some space, but this size is perfect for a lot of cars Large size requires more space Small size, no space problems Small size and face no space problems Small size and face, can be fitted in tight spaces. You can get all necessary information from this useful chart anytime. It is providing each and every single detail about the different sizes of car door speakers. Front door speakers should be large for having the best and enhanced sound listening experience. It is suggested to choose both front and rear door speakers of the same manufacturing company to prevent sound distortion in different pairs and they should be of high quality for excellence and perfection. Actual speaker size depends upon its design and it depends upon the diagonal measurement of the frame and the hole alignment as well as the cone and cut out diameter also. Small speakers utilize less power while big speakers consume more power. These all speakers are the good ones and are also available in affordable ranges so you can select the perfect size of the speaker for your car doors very easily with the help of this Car Door Speakers Size chart. Last year, I bought a new F11 car for my wife, and O, Boy, the door speakers were just not up to the mark. So, I decided to make things better. Here, I will share step by step guide to select door speakers sizes for your car and then how to install them properly. Now when replacing car door speakers, you will need to take the whole door panel off, for this, you have to remove screws that fix the panel. I saw a couple of screws across in the bottom. You never want to just pull the grill off, however, you can do this by carefully accessing the grill and following this guide. I used an electric drill and screwdriver for my aid. Electric screwdriver helped me to remove screws that are fitted in the grill, in no time and with little effort. These screws are the main reason for the stability of the grill and door panel. Once you have all the screws out, the door panel opens and comes right off in front of you. It is held by a separate part that is a plastic clip. Try removing the door panel carefully, the panel may also be attached by some hooks. Once you take the hardware off, the whole door panel will just slide up. Once the door panels are off, you can see the factory fitted speakers. Now amazingly, I found a Chinese 5.25 speaker in my American car, Why? See, if you really want to use American car, go with the Japanese car. They always come with quality parts and accessories. Now once you have selected the door speaker size, make a speaker box accordingly, or simply buy it from the market. So, my plan was to install two 5.25 inch door speakers in my car. I planned to fix them side by side since I have 8 channel amplifier, they will be working fine with a powerful sound. This was not easy, I had to remove side plate and I tried to modify. Unfortunately, I failed, there was a metallic rod in between the door panel and this was not possible to fix two 5.25 inch car door speakers side by side. No problem, at Stereo Authority, we have tons of car speakers and if you talk about car door speakers, there are rooms filled with these. Since, my target was to answer the questions, which I have recently received, How to Install Car Speakers in door? So, I went for 6.5-inch component car door speakers for my F11. These 6.5-inch component door speakers come with a set of tweeters that can be easily installed at your front dash. They have a beautiful dome design, that looks so amazing that I simply fell in love with the design. It was easy to put 6.5-inch component speakers at the place of5.25-inch speakers place? How? I made a few modifications and adjustments. I didn’t have to cut the whole door panel for these 6.5 door speakers. 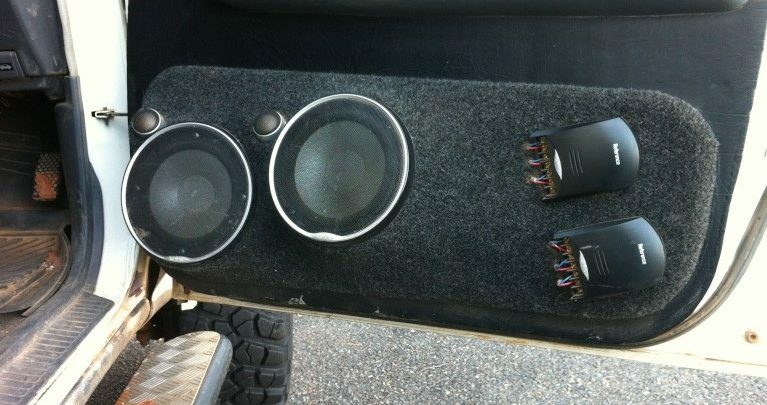 If you are planning to add subwoofers with the system, again mount them properly in the trunk. I designed a ring to adapt to speaker holes. The ring came perfect. You should ensure that the car door speakers are mounted properly. I always ensure that car door speakers are mounted solid and secure. Now with these 6.5-inch speakers, I had to work even harder, as these were the biggest sized car door speakers, I ever had in F11. I fixed them properly with the door panels and ensure that there was no motion of speakers even at high volumes. You should according to the Car Door Speakers Size. Again, played a test soundtrack, and you guessed it right, Yes, it was, I smoke two Joints, and yes, at this very moment of writing this article, I am surrounded by Joints of all sizes, You are welcome to Join in. If your door panels are flapping at high volumes, it takes away midbass, simply you can’t have it. Fix it solid and secure. You need to have an adaptor bolted on. My plan was to keep the tweeter low with 6.5-inch car door speakers. 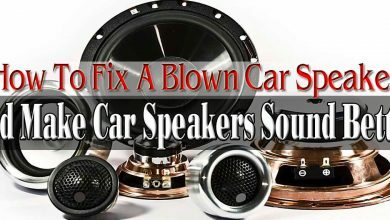 Read here if you are looking for ways to get more bass out of your car subwoofer. I have explained here, subwoofer size chart along with features and specifications of different car subwoofers. The tweeters and mid will have their own separate channels coming from the amplifier. Two tweeters and two 6.5″ speakers will be 4 channel with the amplifier. I will have 2 channels at the back and extra two, these bridgable channels can pump some extra power to the 6.5-inch car door speakers. Ensure to run big enough speaker wires. If you planning to buy an amplifier, you like to read this guide. I have already posted an article about subwoofers box designs for deep bass. You can choose between an 8-inch subwoofer or a 10-inch subwoofer for your car. Again, check how much space you have. Read here if you are confused about buying a subwoofer. So that’s it, I have explained in detail about sizes of car door speakers. Along with that, you can follow the step by step guide on how to install car speakers in door. I have shared my experience, working at car speakers is always fun for me. I have spent days and nights working on the perfect sound experience. Read here about 6×9 car speakers. Selecting the right Car Door Speakers Size is important. 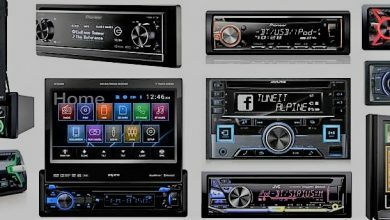 You can contact me with any questions that you have in mind related to car speakers. I will not only answer you directly but also I will publish an article dedicated to that question.